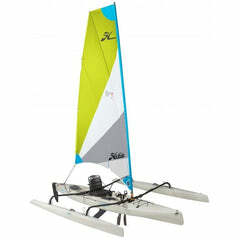 With generous below deck stowage, smart rigging on top and optional sailing kit, the Hobie Revolution 11 is ready to roam. 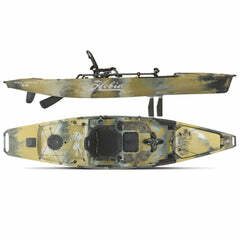 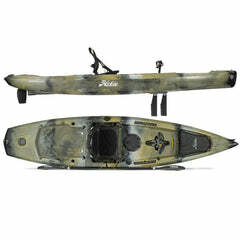 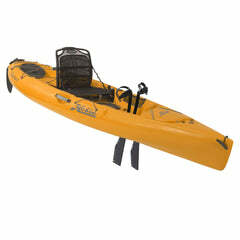 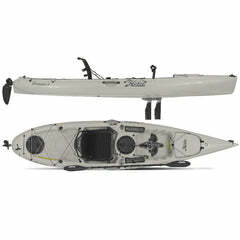 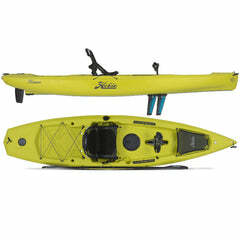 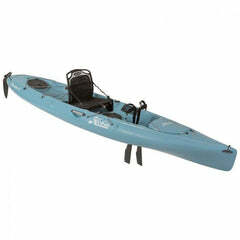 Whether it is a day of casting, paddling, pedaling or sailing, the Revolution 11 has you covered. 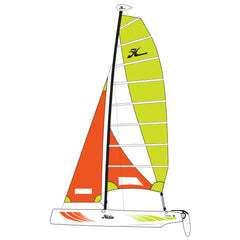 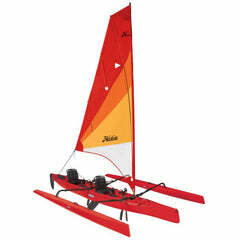 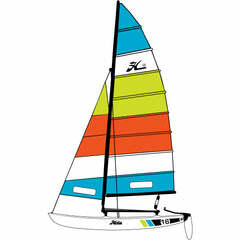 Modeled after its big brother the Revolution 13 the Revolution 11 features a slippery-yet-stable hull form, Hobie's innovative MirageDrive system with glide technology, generous stowage, and lashing configurations and an optional sailing kit, give you the resources to really get up and go. The Revolution 11 has a featherweight hull that accelerates without hesitation, plus a nimble-minded design and an impressive turning radius allow you to adroitly stalk fish and confidently negotiate persnickety shoals or currents. 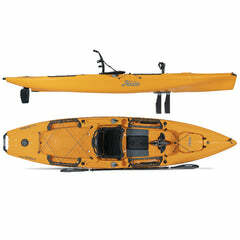 Ideal for small-to-midsize users.